The guys over at Arrow in the Head have some interesting news concerning the second sequel to 28 Days Later, titled 28 Months Later. If you have been under a rock for the last 5 years and have never heard of Danny Boyle's masterpiece of zombie films, the plot goes as follows: a virus breaks out in the UK and the film follows a group of survivors as they try to find sanctuary 28 days after the outbreak occured. 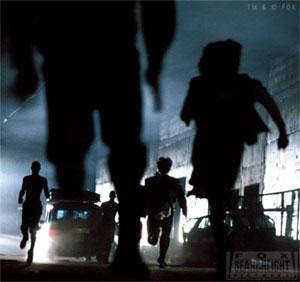 28 Days Later was one of the first zombie films that brought us the running zombie. The original film was extremely good. The sequel, 28 Weeks Later directed by Juan Carlos Fresnadillo, was a worthy effort that continued the story in a intense and intriguing spin to the virus story. The third effort as it has been dubbed 28 Months Later has been talked of but we now have the first substanial news regarding its possible director. AITH while at SITGES Film Festival overheard some very cool news. It seems that Paul Andrew Williams (The Cottage) has been chosen to helm the third film in the horror franchise. It shouldn't be too far off that we have alot more production news and a official statement from the 20th Century Fox property. 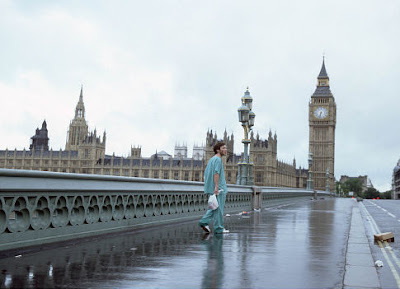 Thoughts on 28 Months Later? Are you ready for another round of "rage" infected? Have you seen Paul Andrew Williams "The Cottage?" If not check it out, pretty damn good!